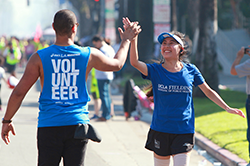 Founded in 1961, the UCLA Fielding School of Public Health aims to build health and equity, and to drive positive change for all people. We act on this mission through initiatives in three core areas: education, discovery and service. In each of these realms, we affirm our commitment to developing leaders and evidence-based solutions, and to working in partnership with communities to promote health and well-being in ways that are innovative, respectful and inclusive. The Fielding School is home to one of the brightest and most diverse public health student bodies in the United States, with students hailing from 27 countries. FSPH has five academic departments — Biostatistics, Community Health Sciences, Environmental Health Sciences, Epidemiology, and Health Policy and Management — and offers three degree types: MPH, MS and PhD. Additionally, concurrent and articulated degrees and certificates enable students to gain specialized knowledge in areas such as global health, population and reproductive health, environmental health, and health care management and leadership. Our students also have access to a wide range of local and global hands-on training opportunities that provide the skills needed to move public health evidence to action. Fielding School faculty are leading efforts that improve people’s lives in Los Angeles and around the world. From preventing millions of HIV infections, improving response to Ebola and boosting HPV vaccine uptake to establishing healthy lifestyle choices, addressing cancer care and protecting people from food and occupational hazards, FSPH faculty work on the front lines of change. FSPH’s research centers lead innovative efforts in environmental genomics, health policy, global infectious diseases, human nutrition, global and immigrant health, health equity, global social policy, population and reproductive health, and more. The school also has 19 Memoranda of Understanding with institutions in countries that include Cambodia, China, Democratic Republic of the Congo, Germany, Mexico and the Philippines. 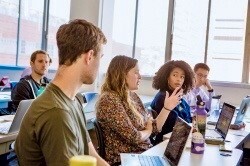 And multidisciplinary collaboration is encouraged and enhanced by FSPH’s presence on UCLA’s unified campus — the schools of medicine, law, nursing, business, dentistry, engineering and more are all located on the Westwood campus of UCLA, recently named the No. 1 public university in the United States. 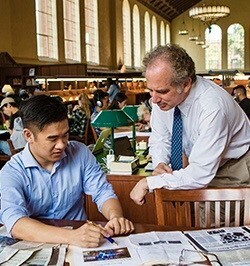 Additionally, UCLA ranked ninth in the world in research and teaching according to the most recent Times Higher Education World (University) Reputation Rankings. Los Angeles is a unique setting to address public health challenges confronting our global community. L.A. County has the largest population of any county in the United States and is one of the most populous metropolitan areas in the world. Its nearly 10 million residents represent more than 140 cultures and speak an estimated 224 languages. With an average of 292 sunny days per year and UCLA’s location five miles from world-famous Santa Monica beach, which includes access to a 22-mile-long path for bicycling, skating, jogging and walking, L.A. has much to offer in the way of a healthy and happy lifestyle. Home to the largest city park in the country, countless hiking trails and some of the nation’s best museums, music and farmers markets, Los Angeles is internationally recognized as one of the most livable cities in the world. Dr. Ron Brookmeyer serves as Interim Dean of the UCLA Fielding School of Public Health which is accredited by the Council on Education for Public Health. To obtain copies of the Fielding School's most recent self-study and/or accreditation report, please email Yifang Zhu, Associate Dean for Academic Programs, at yifang@ucla.edu. For a PDF of information about the Fielding School, please see our FSPH Fact Sheet.